Della's giving up all the comforts of bustling Salt Lake City to teach school in a rural coal mining camp. Little does she know, she may soon be giving up her heart as well. 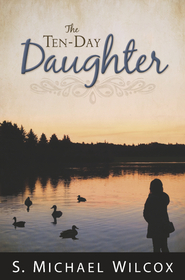 But when tragedy strikes in the Scofield Mine, Della's life is changed forever. 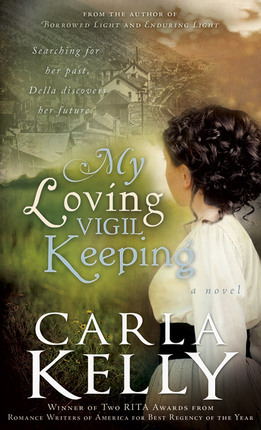 Based on true events, this thrilling new romance from award-winning and bestselling author Carla Kelly is a must-read! This has becoming one of my favorite books ever! The characters were lovable and relatable and realistic. The events were based on true fact, which brought a depth to a book. I laughed, I cried, and I read it back to back to back. Carla Kelly did it again! What an excellant writer. True to LDS standards of writing. 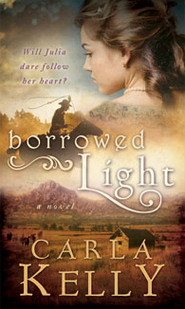 This book kept my interest throughout, savored of sweet romance, and brought tears to my eyes. This book was based on true events, which made it all the more real for me. Della may be a fictional character, but she brought the feelings of that day to the forefront of my mind and I felt the devistation of the tragedy like I was there, and she was real. Della has struggled to find her place in the world after her father died in a coal mining accident when she was 12 years old. Having not known her mother and had no other family close by, she was sent to live with her Uncle and Aunt in Salt Lake City Utah. Her Aunt and Cousins despised her and her Uncle was clueless to it. Even though she lived with them, she was alone and had to fend for herself. She needed to get away and took a teaching job at Winter's Quarters, a coal mining camp. At first the families in the area looked down on her and couldn't figure out why a spoiled rich girl had taken a teaching job there in the first place. They didn't realize her Father was a coal miner and she was practically an orphan from 12 and on. As the story unfolds there is laughter, drama, respect, understanding and love. Oh, and lots and lots of singing! Follow Della, or even become her as you read this book. Share her emotions and strategies as she starts to find her way to a place where she finally feels like she can belong. 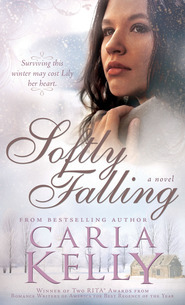 Another great read from Carla Kelly! She even put information at the back of the book about the mine explosion and some more details of the real families and what happened to them after this tragedy. Perhaps there will be a sequel for Della where she finds her mother?? Either way pick up this book and transport yourself back in time and fall in love with the coal miners and their families!